Lauro Gama Jr. graduated from the State University of Rio de Janeiro (UERJ) in 1987 and was called in 1988 to the Brazilian Bar. He holds a Masters in International Relations (PUC-Rio, 1992), a LL.M degree in Comparative Law (McGill, 1999), and a Doctorate degree in International Law (Univ. São Paulo, 2004). He is currently Adjunct Professor at the Pontifical Catholic Univ. of Rio (PUC-Rio), where he teaches Private International Law, Contracts and International Commercial Arbitration. He has authored books and articles published in specialized journals. He participated in the working group of the UNIDROIT Principles (2008-2010) and also in the working group of the 2015 Hague Principles. More recently, he acted as rapporteur of CISG Advisory Opinion No 17 on Limitation and Exclusion Clauses. To-date Lauro has acted as counsel and arbitrator in more than 80 cases, under the rules of ICC, LCIA, UNCITRAL and Brazilian arbitral institutions. 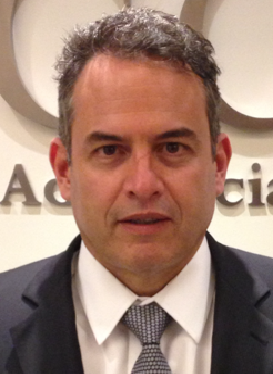 Mr. Gama has served as President of the Brazilian Arbitration Committee (CBAr) from 2013 to 2015. He is currently a Member of the ICC Court of International Arbitration.